Jorge Luis Borges (August 24, 1899 – June 14, 1986) was an Argentine poet, essayist, and short-story writer who is considered one of the foremost figures in world literature of the twentieth century. Borges' reputation rests primarily on his complex and startlingly original short stories. Borges' stories present relatively simple philosophical propositions or thought-experiments—What would it be like to be immortal? What would it be like if one could not forget anything?—and proceed through fantastic dream-like narratives. Borges drew from his extensive readings in literature, philosophy, and theology, but he was less concerned with the social and psychological anomie of modern life than were many modernist writers. A contemporary of James Joyce, Ezra Pound, and Franz Kafka, whom he credited as an influence, Borges also explicitly noted his debt to the nineteenth-century American poet Walt Whitman. Unlike many contemporary Latin American writers, Borges largely eschewed political statements in his fiction but was preoccupied with the baffling nature of existence. Anticipating quantum theory, Borges saw time as nonlineal, a labyrinthine, existential puzzle, and considered the search for meaning in an infinite universe as a largely fruitless exercise. In "The Garden of Forking Paths," Borges described "an infinite series of times, in a growing, dizzying net of divergent, convergent and parallel times. This network of times which approached one another, forked, broke off, or were unaware of one another for centuries, embraces all possibilities of time." 2.1 "The Garden of Forking Paths"
His works have been included by critics in the category of "magical realism," which introduces some magical elements into an otherwise realist narrative. This technique itself opens onto a philosophical discussion of the nature of reality in an age dominated by empiricism in science. As Borges grew older, his style became increasingly spare and realistic. He moved away from the modernist tendency toward what he called "the baroque": Prose and poetry that has become so over-complicated as to be unreadable. Borges is a unique literary voice in the twentieth century, whose work transcended easy classification as "modernist," yet whose loss of moral orientation remains distinctly modern. Borges was born in Buenos Aires. His father, Jorge Guillermo Borges Haslam, was a lawyer and psychology teacher, who also had literary aspirations. Borges's mother, Leonor Acevedo Suárez, came from an old Uruguayan family. His father was part Spanish, part Portuguese, and half British; his mother was Spanish, and possibly part Portuguese. At his home, both Spanish and English were spoken and from earliest childhood Borges was effectively bilingual. Jorge Guillermo Borges was forced into early retirement from the legal profession owing to the same failing eyesight that would eventually afflict his son. In 1914, the family moved to Geneva, where Borges, senior, was treated by a Geneva eye-specialist while Borges and his sister Norah (born 1902) attended school. There Borges learned French, with which he apparently initially struggled, and taught himself German, receiving his baccalauréat from the Collège de Genève in 1918. After World War I ended, the Borges family spent three years variously in Lugano, Barcelona, Majorca, Seville, and Madrid. In Spain, Borges became a member of the avant-garde Ultraist literary movement. His first poem, "Hymn to the Sea," written in the style of Walt Whitman, was published in the magazine Grecia (Greece, in Spanish). While in Spain Borges frequented the company of such notable Spanish writers as Rafael Cansinos Assens and Ramón Gómez de la Serna. In 1921, Borges returned with his family to Buenos Aires where he imported the doctrine of Ultraism and launched his career as a writer by publishing poems and essays in literary journals. Borges' first collection of poetry was Fervor de Buenos Aires (1923). He contributed to the avant-garde review Martín Fierro and co-founded the journals Prisma (1921–1922) and Proa (1922–1926). From the first issue, he was a regular contributor to Sur, founded in 1931 by Victoria Ocampo, which became Argentina's most important literary journal. Ocampo herself introduced Borges to Adolfo Bioy Casares, who was to become Borges's frequent collaborator and Ocampo's brother-in-law, and another well-known figure in Argentine literature. In 1933 Borges was appointed editor of the literary supplement of the newspaper Crítica, and it was there that the pieces later published in Historia universal de la infamia (A Universal History of Infamy) appeared. These pieces lay somewhere between non-fictional essays and short stories, using fictional techniques to tell essentially true stories, and literary forgeries, which typically claimed to be translations of passages from famous but seldom read works. In the following years, he served as a literary adviser for the publishing house Emecé Editores and wrote weekly columns for El Hogar, which appeared from 1936 to 1939. Starting in 1937, friends of Borges found him work at the Miguel Cané branch of the Buenos Aires Municipal Library as a first assistant. When Juan Perón came to power in 1946, Borges was effectively fired by being "promoted" to the position of poultry inspector for the Buenos Aires municipal market, from which he immediately resigned. Borges' offenses against the Peronistas up to that time had apparently consisted of little more than adding his signature to pro-democratic petitions; but shortly after his resignation he addressed the Argentine Society of Letters saying, in his characteristic style, "Dictatorships foster oppression, dictatorships foster servitude, dictatorships foster cruelty; more abominable is the fact that they foster idiocy." Borges's suffered a great blow when his father died in 1938; the two were very close. Then on Christmas Eve 1938, Borges suffered a severe head wound in an accident. During treatment for that wound, he nearly died of septicemia. He based his 1941 short story "El Sur" on this event. While recovering from the accident, he began writing in the learned and complex style for which he became famous. His first collection of short stories, El jardín de senderos que se bifurcan (The Garden of Forking Paths) appeared in 1941. Though generally well received, the collection failed to garner the literary prizes many in his circle expected. Ocampo dedicated a large portion of the July 1941 issue of Sur to a "Reparation for Borges"; numerous leading writers and critics from Argentina and throughout the Spanish-speaking world contributed writings in praise of Borges' neglected volume. El jardin has since gone on to become one of Borges' most beloved volumes. Left without a job, his vision beginning to fade, and unable to fully support himself as a writer, Borges began a new career as a public lecturer. Despite some political persecution, he was reasonably successful, and became an increasingly public figure, obtaining appointments as President of the Argentine Society of Writers (1950–1953) and as Professor of English and American Literature (1950–1955) at the Argentine Association of English Culture. His short story "Emma Zunz" was turned into a film (under the name of Días de odio, which in English became Days of Wrath) in 1954 by Argentine director Leopoldo Torre Nilsson. Around this time, Borges also began writing screenplays. Gave me at once books and darkness. The following year he received the National Prize for Literature and the first of many honorary doctorates, this one from the University of Cuyo. From 1956 to 1970, Borges also held a position as a professor of literature at the University of Buenos Aires, while frequently holding temporary appointments at other universities. Borges's international fame dates from the early 1960s. In 1961, he received the Formentor Prize, which he shared with Samuel Beckett. The prize helped Borges to gain the attention of an English-speaking audience. Shortly thereafter, Borges commenced his first lecture tour of the United States. The first translations of his work into English were to follow in 1962, with lecture tours of Europe and the Andean region of South America in subsequent years. Though a contender since at least the late 1960s, Borges did not win the Nobel Prize in Literature. Especially in the late 1980s, when Borges was clearly growing old and infirm, the failure to award him the prize became a glaring omission. It was speculated at the time and since that it was his failure at least to condemn the coup d'etat and subsequent dictatorship of Augusto Pinochet in Chile that ultimately led to his not receiving the award. Borges joined a distinguished list of non-winners of the Nobel Prize in Literature, which includes Graham Greene, James Joyce, Vladimir Nabokov, and Leo Tolstoy, among others. 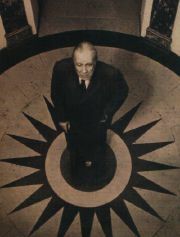 When Perón returned from exile and was re-elected president in 1973, Borges immediately resigned as director of the National Library. Borges was twice married. In 1967 his mother, then over 90 years old and fearing her own death, wanted to find someone to care for her blind son. She and his sister, Norah, arranged for Borges to marry the recently widowed Mrs. Elsa Astete Millán. The marriage lasted less than three years. After legal separation, Borges moved back in with his mother, with whom he lived until her death at 99. Thereafter, he lived alone in the small flat he had shared with her and was cared for by their housekeeper of many decades. Although he had done quite a bit of traveling previously, after 1975, the year his mother died, Borges started a series of extensive visits to countries all over the world, continuing until the time of his death. In these travels, he was often accompanied by his amanuensis and research assistant, María Kodama, an Argentine woman of Japanese and German ancestry. This companionship soon developed into a very close personal relationship. The two would eventually marry quite late in Borges' life, and Kodama would be made Borges' sole literary executor, a position she continues to fulfill to this day. Jorge Luis Borges died of liver cancer in Geneva and is buried in the Cimetière des Rois in Plainpalais. In addition to his short stories for which he is most famous, Borges also wrote poetry, essays, several screenplays, and a considerable volume of literary criticism, prologues, and reviews. In the Spanish-speaking world, Borges is known as much if not more as a poet and essayist than as a fiction-writer. He edited numerous anthologies and was a prominent translator of English, French, and German literature into Spanish. His blindness (which, like his father's, developed in adulthood) strongly influenced his later writing. Borges had to dictate all of his stories and poems to an amanuensis after he became blind, and the results are quite striking: while the early Borges' prose is often florid and exuberantly verbose, the later Borges' writing is remarkably spare and focused. Many of his most popular stories concern the nature of time, infinity, reality, and identity and utilize mirrors and labyrinths as symbols and literary devices. A number of stories focus on fantastic themes, such as a library containing every possible text ("The Library of Babel"), a man who cannot forget ("Funes, the Memorious"), an artifact through which the user can see everything in the universe ("The Aleph"), and a year of time standing still, given to a man standing before a firing squad so that he can finish the epic poem he had been working on all his life ("The Secret Miracle"). Borges also wrote more or less realistic stories of South American life: Stories of folk heroes, street fighters, soldiers, and gauchos, all deeply imbued in the gruff history of his native homeland. One of the most memorable stories of Borges' career, and one of the most indicative of his style, is the early work "The Garden of Forking Paths" published in the volume of the same name. Published in 1941 as "El jardín de senderos que se bifurcan" and one of the most critically acclaimed of all Borges' short stories, "The Garden of Forking Paths" takes the form of a signed statement by a Chinese professor of English named Dr. Yu Tsun, who is living in the United Kingdom during World War I. Tsun, however, is actually a spy working for the Germans. As the story begins, Tsun realizes that the British officer pursuing him, Captain Richard Madden, is in the apartment of his fellow spy, Viktor Runeberg, and has presumably either captured or killed him. Tsun surmises that his own arrest is next. He has discovered the location of a new British artillery regiment and wishes to convey that knowledge to his German masters before he is captured. He hits upon a desperate plan in order to achieve this. Taking his few possessions, Tsun boards a train to the village of Ashgrove, narrowly avoiding the pursuing Capt. Madden at the train station, and goes to the house of Dr. Stephen Albert, a renowned Sinologist. As he walks up the road to Albert's house, Tsun reflects on his great ancestor, Ts'ui Pen. As he explains, Ts'ui Pen, a learned and famous man, renounced his job as governor of a province in order to undertake two tasks: To write a vast and intricate novel, and to construct an equally vast and intricate labyrinth, one "in which all men would lose their way." Ts'ui Pen was murdered before completing his novel, however, and what he did write was a "contradictory jumble of irresolute drafts" that made no sense to subsequent reviewers; nor was the labyrinth ever found. Tsun describes his own experience of reading the unfinished novel, where characters seem to jump in and out of time and nothing ever makes sense. In the third chapter the hero dies, for example; yet in the fourth he is alive again. He is interrupted in his musings when he arrives at the house of Dr. Albert, who himself has evidently been pondering the same topic. Albert explains excitedly that at one stroke he has solved both mysteries—the chaotic and jumbled nature of Ts'ui Pen's unfinished book, and the mystery of his lost labyrinth. Albert's solution is that they are one and the same: The book is the labyrinth. Basing his work on the strange legend that Ts'ui Pen had intended to construct an infinite labyrinth, as well as a cryptic letter from Ts'ui Pen himself stating, "I leave to several futures (not to all) my garden of forking paths," Albert realized that the "garden of forking paths" was the novel, and the forking took place in time, not in space. As compared to most fictions, where the character chooses one alternative at each decision point and thereby eliminates all the others, Ts'ui Pen's novel attempted to describe a world where all possible outcomes of an event occur simultaneously, each one itself leading to further proliferations of possibilities. (This idea is remarkably similar to the many-worlds interpretation of quantum mechanics, which was not proposed until over a decade after the writing of this story.) Albert further explains that these constantly diverging paths do sometimes converge again, though as the result of a different chain of causes; for example, he says, in one possible past Dr. Tsun has come to his house as an enemy, in another as a friend. Though trembling with gratitude at Albert's revelation and in awe of his ancestor's literary genius, Tsun glances up the path to see Capt. Madden approaching the house. He asks Albert if he can see Ts'ui Pen's letter again. Albert turns to retrieve it, and Tsun shoots him in the back, killing him instantly. Although Tsun is arrested and sentenced to death, he claims to have "most abhorrently triumphed," as he has successfully communicated to the Germans the name of the city they were to attack, and indeed that city is bombed as Tsun goes on trial. The name of that city was Albert, and Tsun realized that the only way to convey that information was to kill a person of that name, so that the news of the murder would appear in British newspapers and subsequently be communicated to the German army. joy with sorrow, and made a universe that was your own? from its numbered current; you are a word in an index. is that you heard the nightingale, one evening. must consider the gods ungenerous. they were more considerate with you, brother. you listen without end to Theocritus' nightingale. dicha y dolor fueron para tí el universo? los ha perdido; eres una palabra en un indíce. Borges is also famous for pioneering the field of "creative non-fiction," works that take the form of non-fiction (reportage, book reviews, and so on) to tell a fictional story. At times, when he was confronted with an idea for a work that would take an extensive amount of time to write about, Borges chose to write a review of a nonexistent work, writing as though the work had already been created by some other person. The most famous example of this is "Pierre Menard, author of the Quixote," which imagines a twentieth-century Frenchman who so immerses himself in the world of sixteenth-century Spain that he can sit down and create a large portion of Miguel de Cervantes's Don Quixote verbatim, not by having memorized Cervantes's work, but as an "original" work of his own mind. Borges's "review" of the work of the fictional Menard effectively discusses the resonances that Don Quixote has picked up over the centuries since it was written, by way of overtly discussing how much richer Menard's work is than Cervantes's (verbatim identical) work. Borges' work maintains a universal perspective that reflects multi-ethnic Argentina, his exposure to world literature from an early age, and his lifelong travel experience. Drawing on these diverse influences, Borges' work marginalized nationalism and racism—significantly during the Perón government's extreme nationalism—and dwelt on human experience within a shifting matrix of time and perception. An Argentinian, Borges even set some of his historical fiction in Uruguay. Anticipating the Argentinian writer Julio Cortázar, Borges also invites readers to become participants in his stories, an interactive role that can be likened to wiki-based encyclopedias. "With their infinite libraries and unforgetting men," Cohen says, "collaborative encyclopedias and virtual worlds conjured up from the printed page and portals that watch over the entire planet, these stories (along with a few others like “The Aleph”) have become a canon for those at the intersection of new technology and literature." Borges never composed a magnum opus, like Joyce's Ulysses, Thomas Mann's Magic Mountain, or Ezra Pound's Cantos that would serve as a summation of his art. Instead, he preferred composing his so-called "miniatures"—stories, poems, and essays that almost never exceed a dozen pages in length. Yet, like the Russian master Anton Chekhov, Borges expanded the scope of the short story to achieve new and unforeseen artistic ends. ↑ "Jorge Luis Borges," Books and Writers. Retrieved May 31, 2008. ↑ Noam Cohen, "Borges and the Forseeable Future," New York Times (January 6, 2008). Retrieved June 2, 2008. ↑ Norton Lectures delivered by Jorge Luis Borges at Harvard University in 1967 and 1968). Retrieved July 5, 2008. Rodríguez-Luis, Julio. 1991. The contemporary praxis of the fantastic: Borges and Cortázar. Toro, Alfonso de. 1999. Jorge Luis Borges: Thought and knowledge in the XXth century. Don’t abandon me Colm Tóibín writes about Edwin Williamson's 2005 biography of Borges. History of "Jorge Luis Borges"
This page was last modified on 5 June 2018, at 23:10.